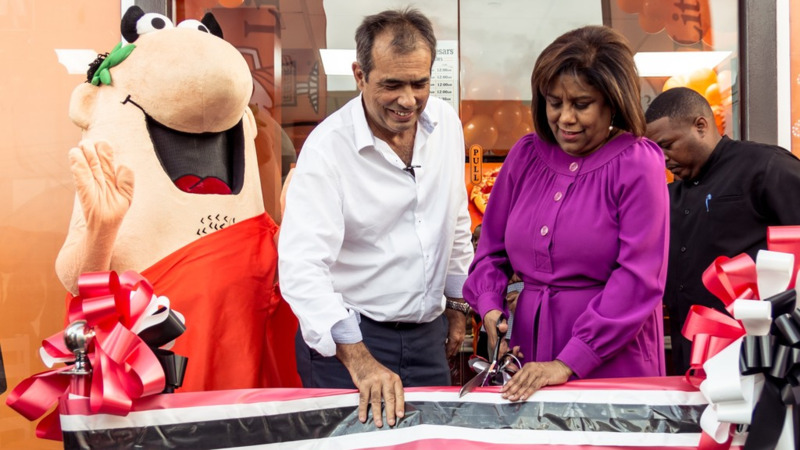 RHL Chairman Derek Waddell and Minister of Trade and Industry Paula Gopee-Scoon cut the ribbon to open the new Little Caesars restaurant at 63A Ariapita Avenue. Little Caesars is now on the Avenue. 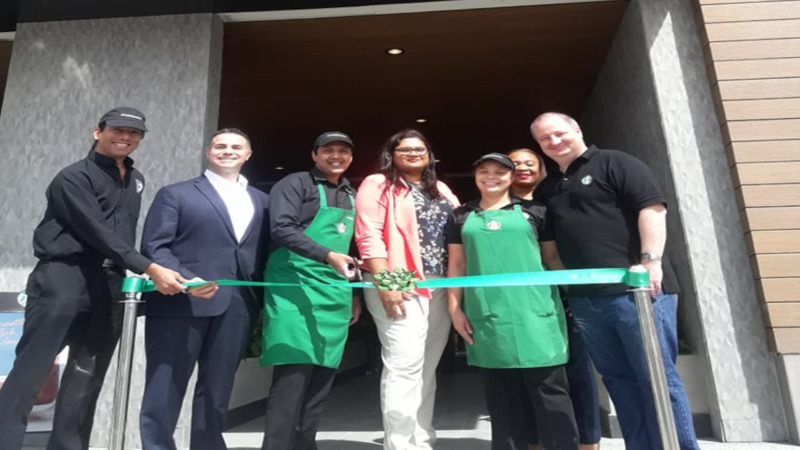 The Ariapita Avenue restaurant is the sixth to be opened since Little Caesars came to Trinidad and Tobago two years ago. 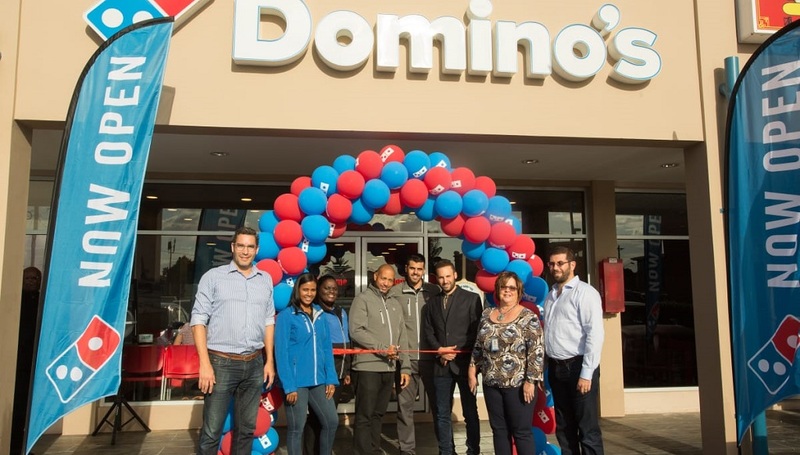 The pizza franchise is part of the Restaurant Holdings Limited family in the Caribbean, which also owns the Burger King and Popeyes franchises in the Caribbean. RHL currently has 24 restaurants in T&T with 400 employees and will be opening seven more by the end of 2019. The new Little Caesars is the first of those seven stores. Speaking at the opening on Friday, Derek Waddell, Chairman of RHL, said they were attracted to the business model of Little Caesars Hot n Ready concept introduced in 2004, which cuts out the waiting time for pizza. With the Hot n Ready model, customers can walk in and buy an already made hot large pepperoni pizza for $60. Breadsticks and wings are also part of the Hot n Ready menu. "Hot n Ready simply is a disruptive concept that changes the way a consumer thinks about buying," he said, stating that being on the Avenue with this concept has been their goal. Waddell said the in T&T the environment for business is difficult with foreign exchange issues and extreme competition in the restaurant space. "If we do business today the way we did business yesterday we would be out of business tomorrow so we have to be constantly moving forward and that is a real challenge," he said. In her address, Paula Gopee-Scoon, Minister of Trade and Industry Affairs urged the company to use locally made flour, pepperoni, and vegetables to solve a big portion of their foreign exchange issues. She said she is happy about the investment by RHL, the parent company of which is in Jamaica, which speaks well for regionalism and shows confidence in the economy of Trinidad and Tobago. 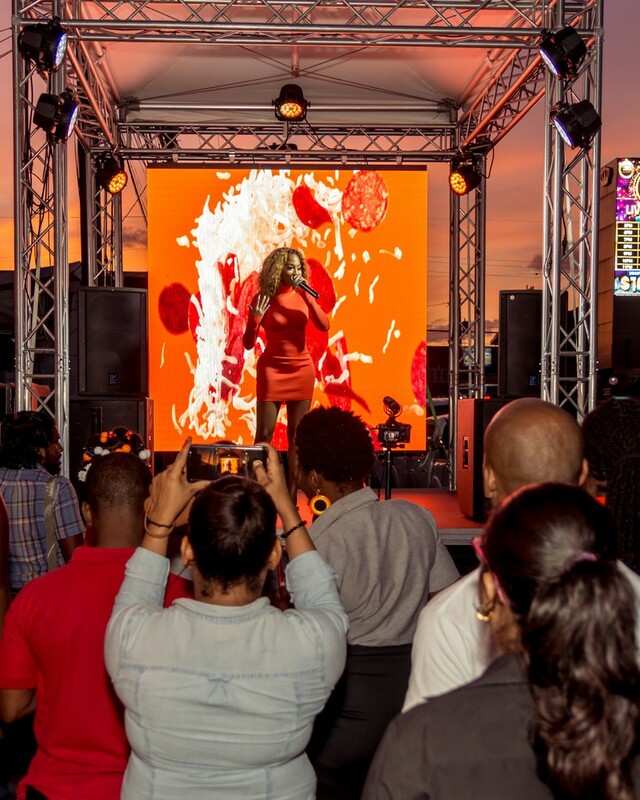 Following the official proceedings, invited guests and passers-by were treated to a performance from Little Caesars spokeswoman Patrice Roberts. One thousand slices of pizza and other giveaways were distributed.